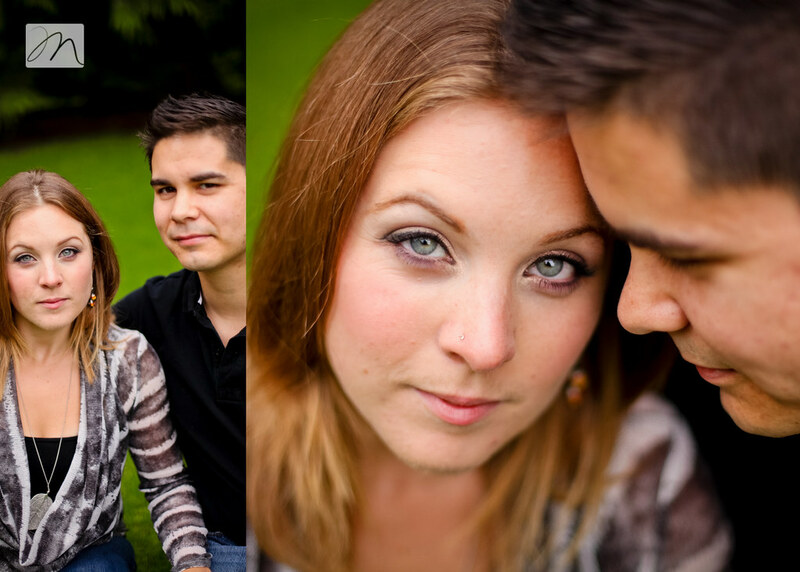 I met Josh + Justine at Starbucks a few months back for our initial consultation. 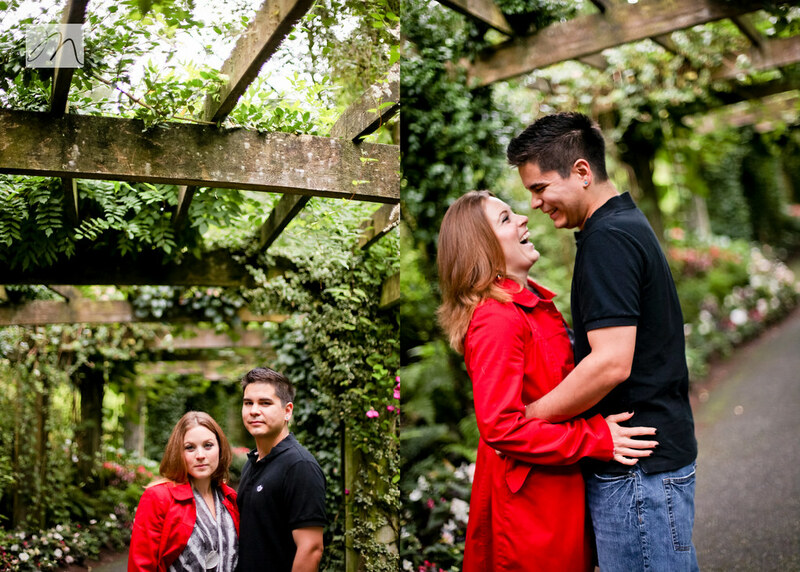 Josh was quiet and smiley and Justine was a sweet, organized, bride to be. 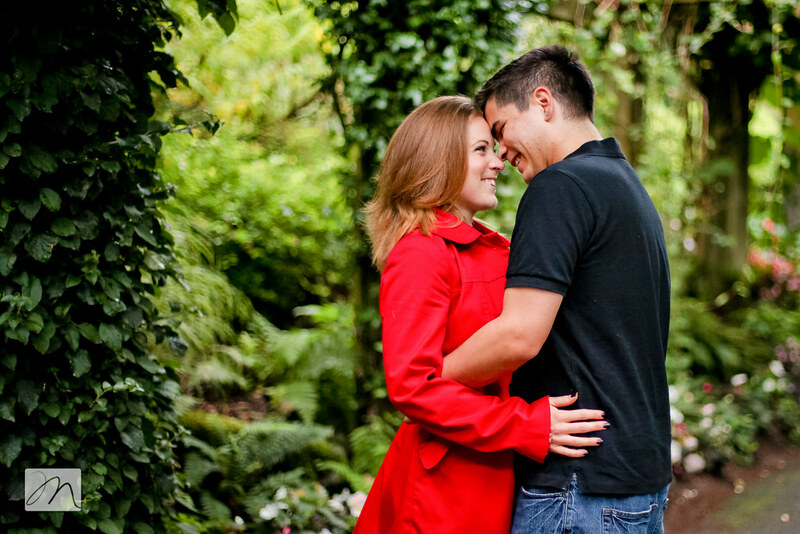 After several years of dating, they are planning their big day next spring. 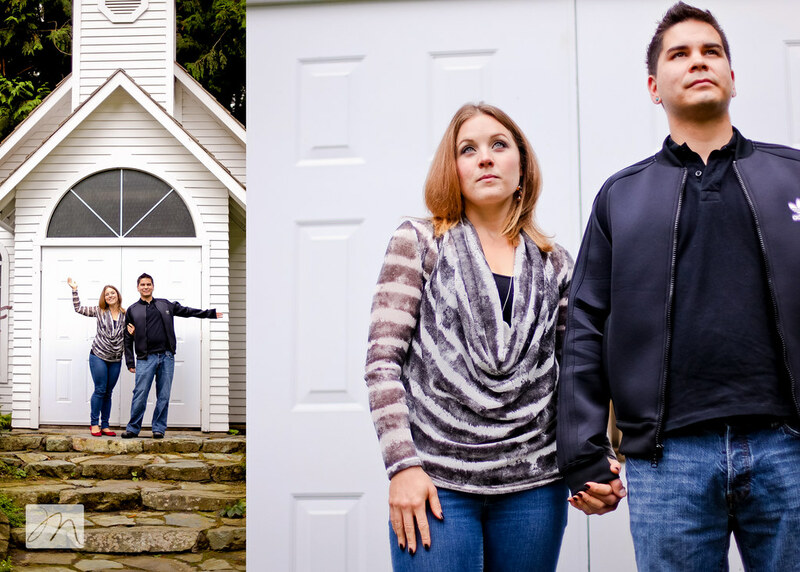 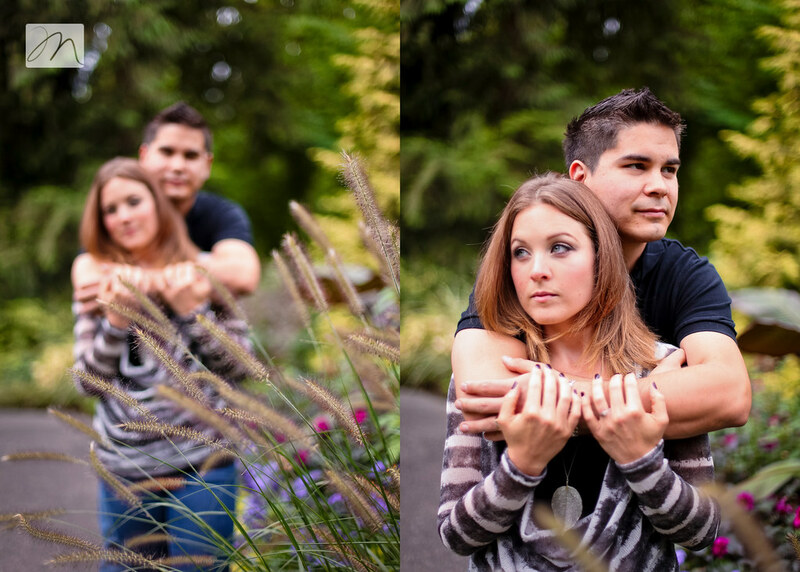 Justine has several great visions for her wedding day, locations and photos. 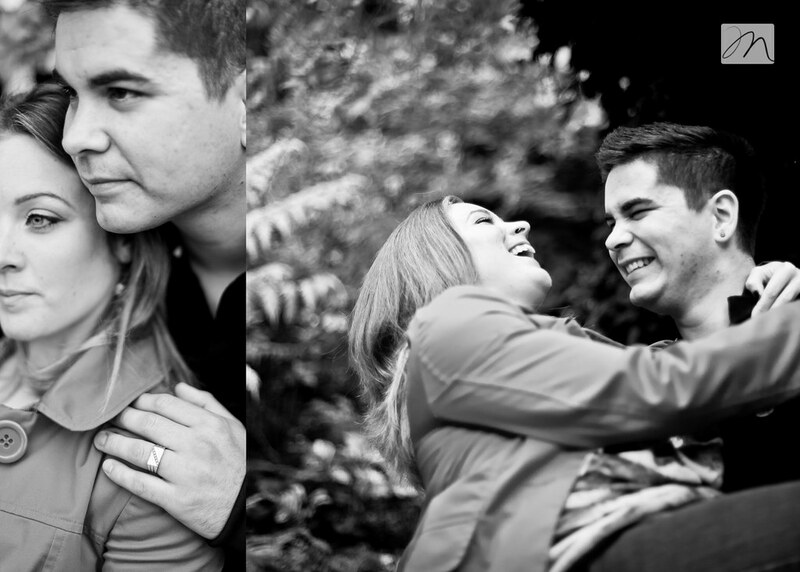 I am so honored when brides have a strong sense of what they hope for and trust me to jump in and let me do my thing. 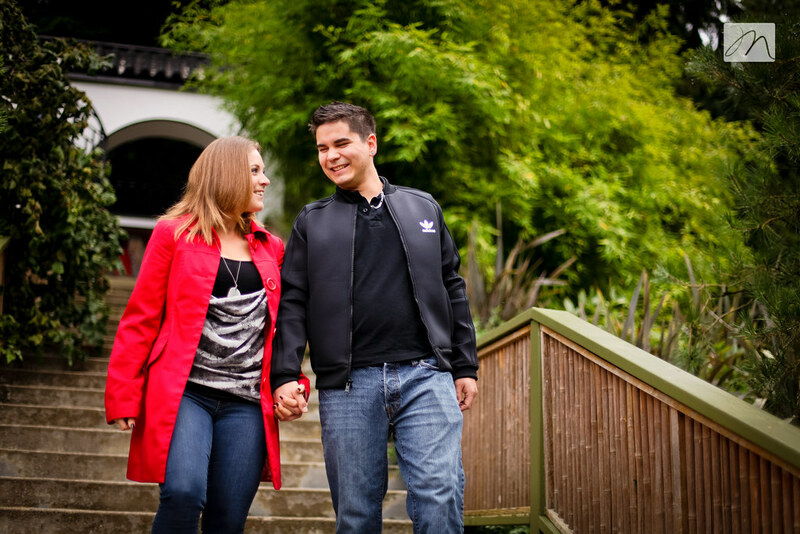 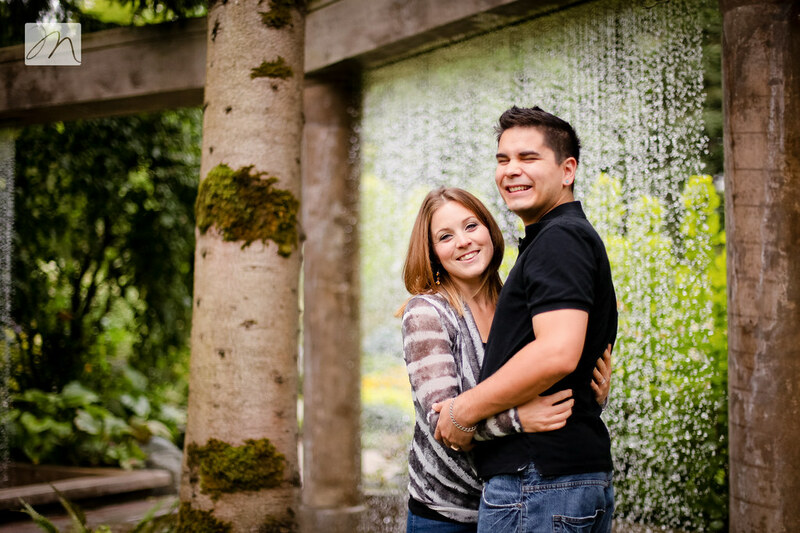 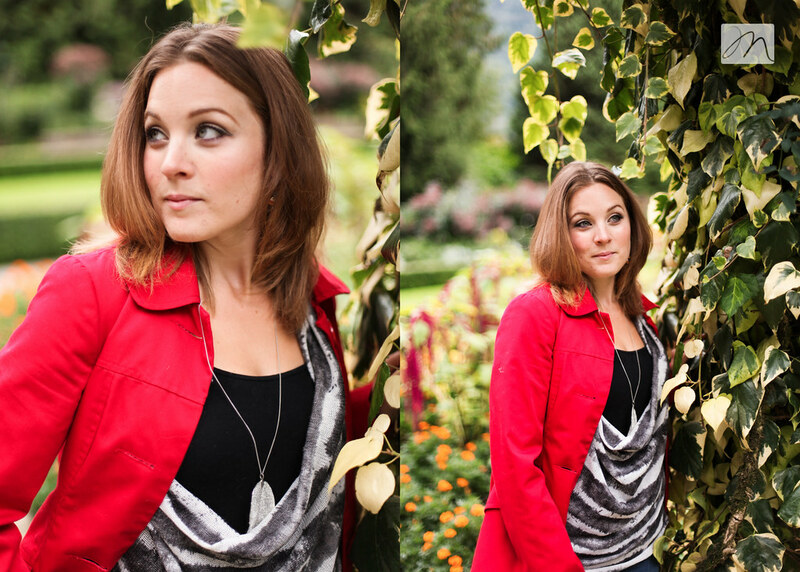 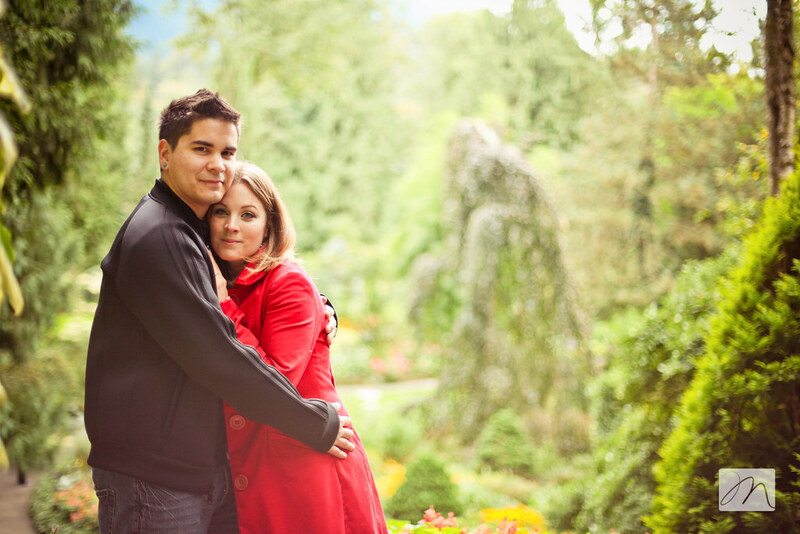 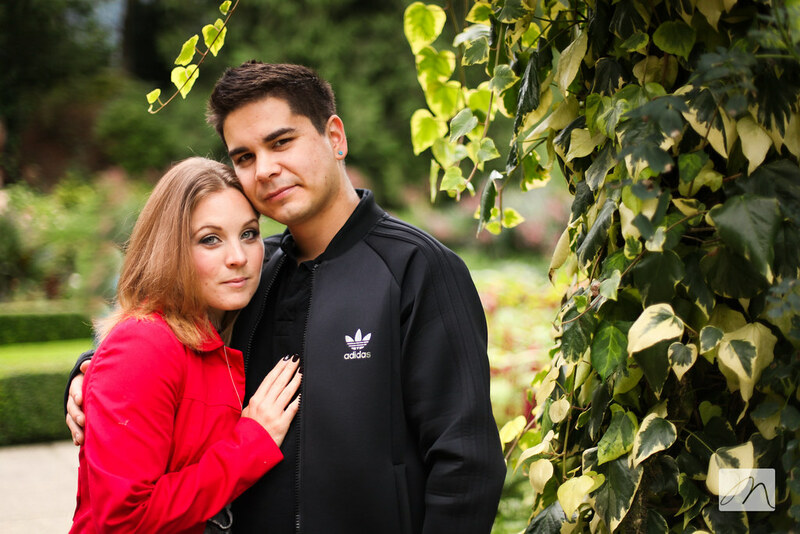 The couple chose to have their engagement session taken at Minter Gardens. 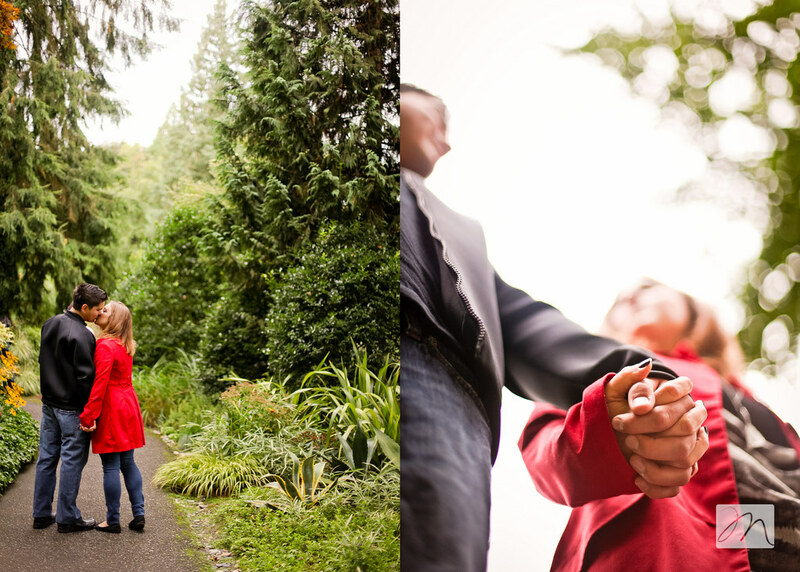 Initially a possible location for their wedding day, but when they decided to take a different direction, the gardens became an obvious choice for these photos. 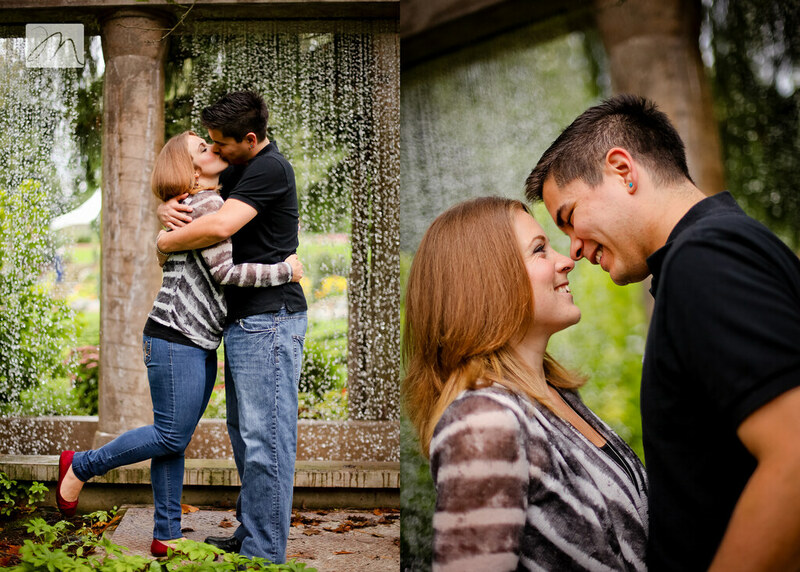 We were blessed with a calm, overcast, perfect fall day. 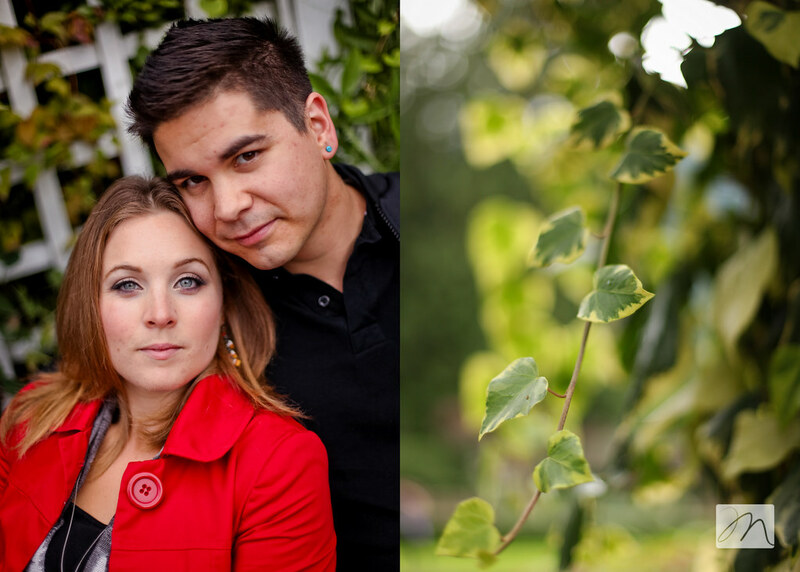 Josh + Justine ~ I had so much fun with you guys and am so excited to shoot your wedding! 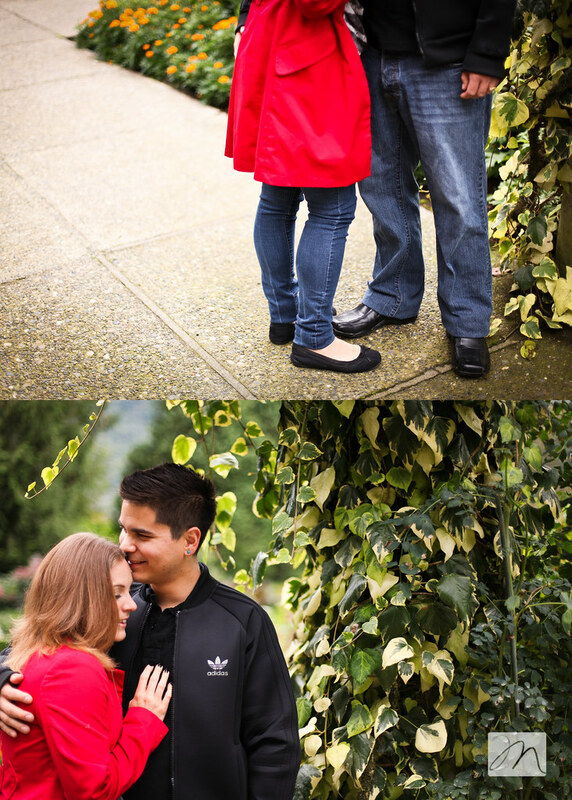 I even forgive you for laughing at me (apparently when your 9 months pregnant photographer rolls on the ground to get a shot, it's kind of funny).